Obesity has been an important topic of health in the United States in recent years, and with good reason. Obesity is a risk factor for a number of health problems, from diabetes, to arthritis, to respiratory problems. Humans are not the only ones who are vulnerable – many, many pets are overweight or obese as well. The Association for Pet Obesity Prevention estimates that 58% of US cats and 54% of US dogs are overweight or obese. More pets are overweight than were even a few years ago. What kinds of health problems are coming about as a result of pet obesity? These are some serious problems! Obesity can lead to a reduced quality of life for your pet, increase veterinary costs, and ultimately lead to a shorter life for your pet. No one wants that! So what can you do to help? The first step is a physical exam from a veterinarian. 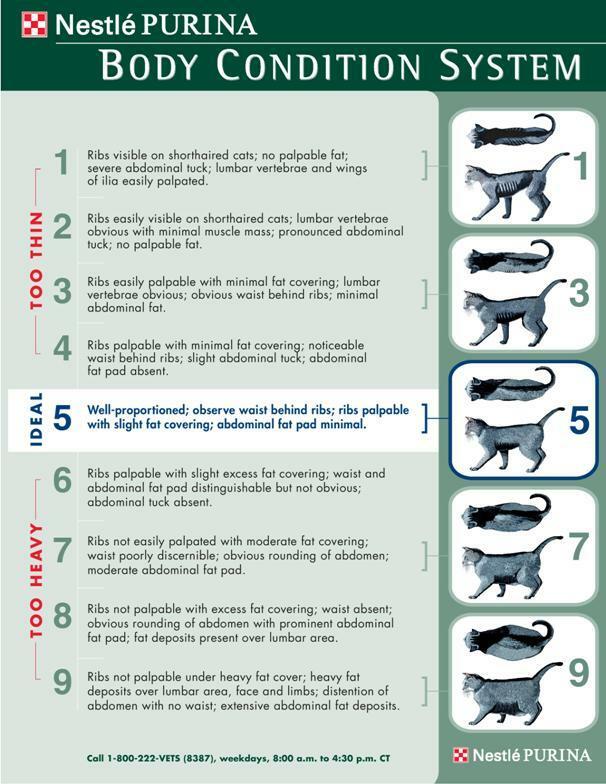 Regular exams allow the veterinarian to track changes in your pet, including their body weight. Your veterinarian is also the expert who can help educate you on your pet’s specific health challenges, including weight management. Not all pets will need the same exact approach to their health goals. Overall, the main mechanism of weight management is energy balance: if Calories ingested exceed Calories used, weight will increase, if Calories ingested are lower than Calories used, weight will decrease. So the goal for weight loss should be to use more calories than are consumed. This is where things can get complicated. Not every pet has the same Caloric needs. A 10 lb. cat only needs about 180 to 200 Calories per day to maintain their weight. A 20 lb. dog may need in the range of 325 to 400 Calories. Compared to the average 2000-2300 Calories a human adult needs, that’s not very many! Some pets will eat anything that is presented to them – or even look for opportunities to take your snacks when you aren’t looking! Since they are constantly looking for something to eat, it’s really easy for these pets to surpass the number of Calories they should be consuming. Treats and table scraps are some of the biggest problems – they aren’t always filling, and they are usually high in Calories. When you implement a change in the pet’s diet, make sure the whole family is on board. After all, a couple treats here and there can add up very quickly. 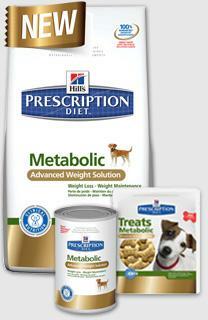 You may also switch your pet to a pet food that is relatively low in Calories and high in nutrients. If your pet is already overweight, Prescription Diets prescribed by your veterinarian may make the difference your pet needs.